Transitioning your home to be toxin-free is a lot of work. From buying ketchup without high fructose corn syrup to switching to aluminum-free deodorant, it can all be exhausting. There's a lot to learn, a lot to remember, and good heavens, a lot to balance in a non-anxiety kind of way. 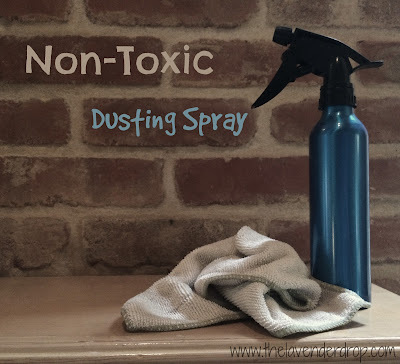 This may be stating the obvious, but if you are just beginning your journey in going non-toxic, start by removing the most toxic items in your house. Ahem.. your cleaning products. If the labels clearly state they are harmful to pets and humans, then why should they be used in our homes? Chemicals in cleaning products can enter our bodies through absorption into our skin from touch and ingestion from residues left on eating utensils. We can also breath fumes or aerosol particles into our lungs. These chemicals and fragrances can often cause allergies, headaches, and breathing difficulties. Over time, toxins can build up in our bodies and cause series health problems. While it is impossible to avoid exposure to toxins, it is possible to reduce your family's exposure. Do your own research on cleaning products for your home. EWG is a great website that grades products based on their toxicity. You can search any product or any ingredient in a products. HERE is the link to their cleaning products page. First up, an easy DIY dusting spray. 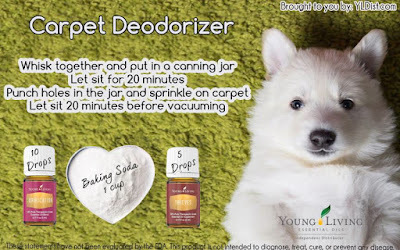 I have used this on all my wood surfaces in my house. I even used it on my stainless steel oven for a great shine!! Want to read about how a popular dusting spray measured up on EWG? Check THIS out. Add all ingredients to a 4 oz spray bottle and shake before each use. Next, onto a bathroom spray. This is a copycat Poopourri Spray. If you have not heard about this spray before, you're in for a real treat! This type of spray is different from others because you spray it in the bowl before you go! The essential oils and glycerin will create a barrier over the top of the water trapping all of the waste and odor below the barrier. So very interesting. Check out EWG's review of a common air freshener HERE. Eek. Fill remainder of a 2 oz spray bottle with water. In addition, I've got some GREAT options to safely clean your house. If you haven't heard of Thieves Household Cleaner, you are missing out. I use this cleaner on MOST of the surfaces in my home. From windows to floors to counter tops. It is phenomenal And it lasts FOREVER. The bottle comes in a concentrated form and you will only need 1 tablespoon of cleaner to 2 cups of water. 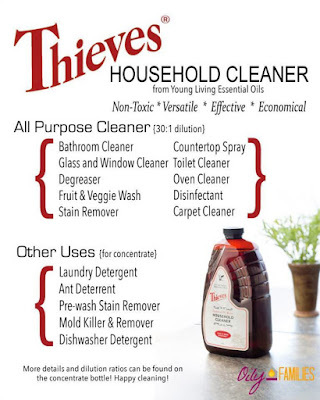 Young Living also has other options for natural cleaning including laundry detergent, dish soap, veggie soak, ect... Check it out HERE. So, there you have it. Start with your cleaners. Buy natural when you can or simply make your own. It's so easy and absolutely worth it. *Not all essential oils are created equally. Do your research as to which oils are safe. I have spent hours upon hours of looking into Young Living and I fully trust their process in extracting essential oils without harsh chemicals or high temperatures. 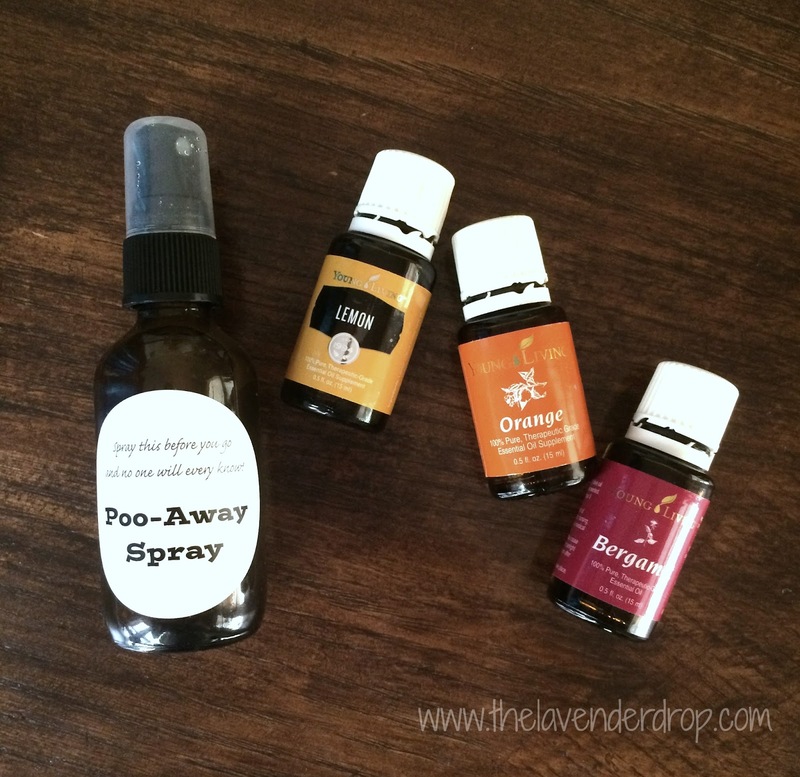 There are a lot of natural cleaning products as well as essential oils mentioned in this post. Want to know where to get them? Follow this link HERE. I am running a great sign-up bonus this month. Be sure to check it out! Did you know you can use essential oils as part of your everyday fitness routine? They are an amazing source of support and motivation! Although there are so many options for using essential oils when you exercise, I'm going to share what works for me. Let's start with what to use before you exercise. Valor* - Essential oil blend of Spruce, Blue Tansy, Frankincense, and Rosewood. While each blend has a different fragrance, they both are created for the same purpose. They are both empowering and uplifting and definitely motivate and drive you through you exercise routine. I apply to the insides of each of my wrists and to my chest before I go running or strength training. Peppermint* - This essential oil single is known for its ability to support digestion and promoting healthy intestinal function. However, it can also support the respiratory system as well as provide energy. I either add a drop of peppermint oil to my water (glass water bottle only!) or put a drop under my tongue (if you can stand it!). I would also apply to my chest with a carrier oil or inhale it directly from the bottle. Adding a drop or two of Lemon* to your water helps support your circulatory system. As you exercise, your circulatory system transports oxygen through your body. Lemon oil supports this process, resulting in increased energy. It also supports your immune system as well as helps balance your acidity level during a workout. This is important to minimize muscle soreness afterwards. Citrus Fresh* - This is an essential oil blend of Orange, Tangerine, Grapefruit, Lemon, Mandarin, and Spearmint. This blend has all the health benefits of Lemon, with the added benefits from the other essential oils. I add this oil to my yoga towel so that I can breath it in every time I move through Chaturanga. Now that you've put in all that hard work, it's time to rest. Resting allows your muscles and heart to recover. Make sure you drink a lot of water afterwards. Being adequately hydrated can help out with muscle stiffness. Despite all precautions, it is inevitable that I will be sore after an extra-vigorous work out. 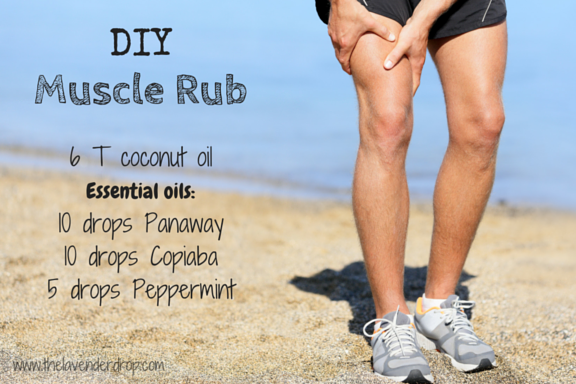 Here is a simple DIY muscle rub. After applying to the desired area, a warm compress would drive the oil in further. If there is swelling with the soreness, I would recommend a cool compress. Finally, it's hard to talk about exercise without talking about nutrition. What you eat fuels your body's performance, recovery, and energy. I can sum up the best nutritional diet in the following statement: Whole foods are always the best option, with the majority of your diet being proteins, fruits, vegetables, and whole grains. Sugar should be at a minimal and avoid eating foods that contain ingredients you can't pronounce. Young Living offers a variety of essential oil infused products that support your body in a myriad of ways. I have previously written on the benefits of drinking Ningxia Red on a daily basis. Check out their Slique Line as well as Young Living's blog on Exercise and Essential Oils.